If you are looking for Kmart Pie Maker Recipes, this post is for you! We’ve had our Kmart Pie Maker for over a year now and it really is one of my favourite appliances (you can also find more Kmart Products I love here) as I can come up with an easy family dinner (or lunch, or snack!) in no time at all. We use our Pie Maker to for both sweet and savoury pies and we also use it to turn leftovers into a brand new meal – make sure you make some pies using leftover Curried Beef and Vegetable Casserole, yum! 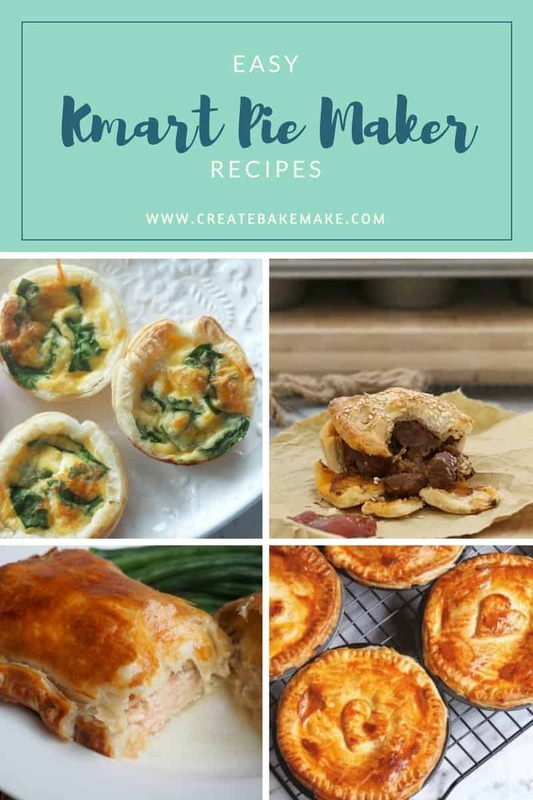 I hope you enjoy this collection of Kmart Pie Maker Recipes as much as I enjoyed putting it together – happy cooking! Kicking off this collection of pie maker recipes are these delicious Lamb and Veggie Pies! This Creamy Chicken, Leek and Bacon pie filling will be a favourite with everyone! 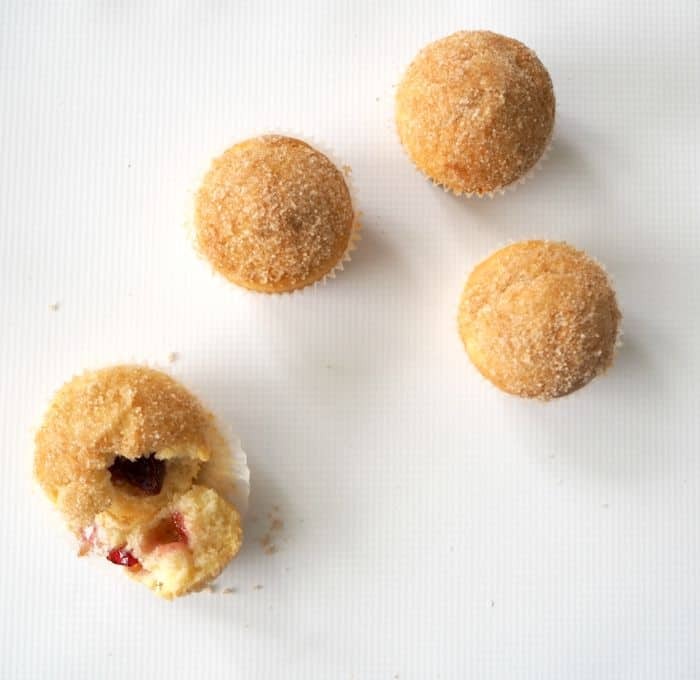 If you love doughnuts you MUST try these Cinnamon Jam Doughnut Muffins made in a pie maker. Simply add the batter until approximately 1/3 full, add the jam and then cover with some more batter – too easy! For a classic Pie filling, try these Beef and Red Wine Pies. Or these Beef Pies are fabulous too! You might also like to try these Chicken, Quinoa and Vegetables Pies. Or this Chicken and Cambert pie filling might be more your thing. Beef and Mushroom Pies really are another classic Pie recipe. Did you know you can also make individual Zucchini Slice Pies in your Pie Maker? You really can add anything to your pie filling, why not try this Hidden Veggie Bolognese? Or this Salmon Pie filling ? It wouldn’t be a pie fillings recipe collection without a classic meat pie recipe and this is our favourite. 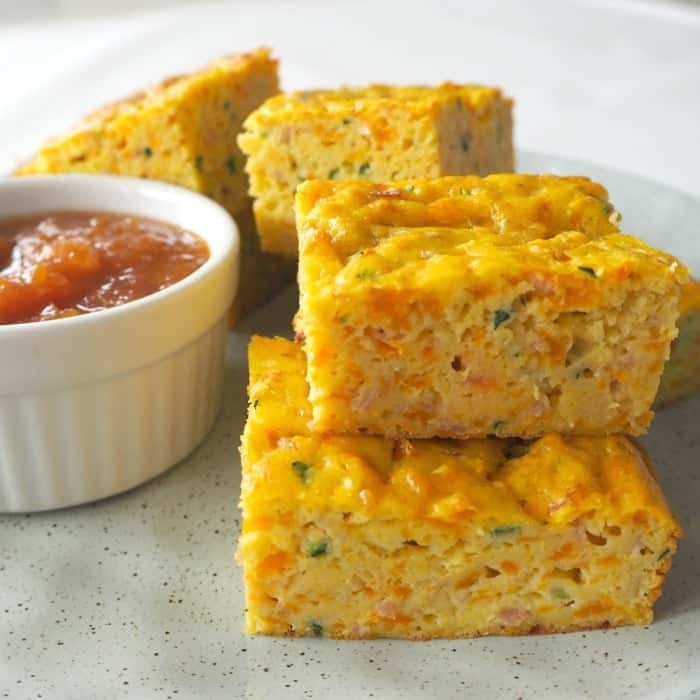 Or these Mini Ham and Cheese Quiches. The next two recipes might be for pasties, but both of their fillings are perfect for pies too!! You can use either shortcrust or puff pastry with this beef and vegetable filling. And either pastry is also fine to use with this Veggie and Rice filling. Your Kmart Pie Maker is also perfect to make sweet pies with, just like these adorable Little Apple Pies. Do you have a Pie Maker? What are your favourite Kmart Pie Maker Recipes? For more easy recipe ideas – check out my ‘Family Dinners Made Easy‘ Book. Going to my mum’s and she has a pie maker so can’t wait to try out some of these recipes! Thanks for including some of my pielicious favourites! Ooh I have to get myself one of those pie makers! Those pie makers are the best! I was sick on the weekend and no inspiration for dinner so I made bacon and egg pies for Saturday night dinner…a massive hit!!! Is there a round pastry cutter that someone has used to make their pies?